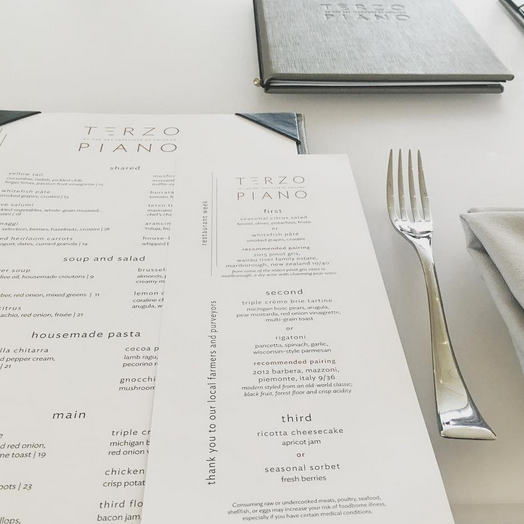 Ahead of refreshing the restaurant's original Renzo Piano interiors, Chef Tony Mantuano and Bon Appétit Management tasked Agentsie with creating a clean, more modern restaurant logo. 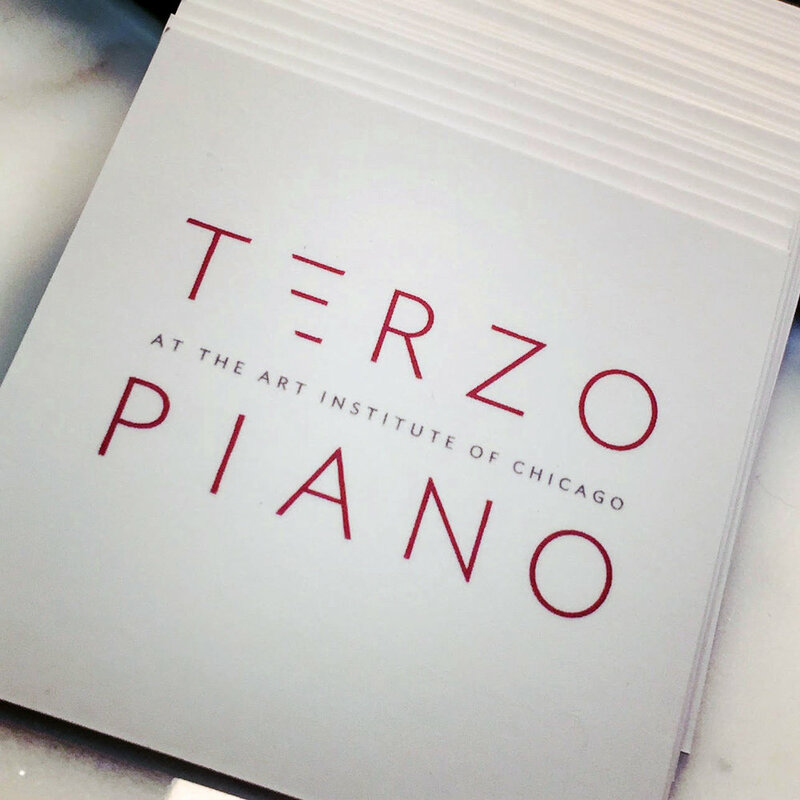 Use of a sans-serif font - part of the museum's existing brand package - and a playful deconstruction of the letter 'E' subtly reference the restaurant's location on the third floor in the modern wing of Chicago's Art Institute. Dark orange lettering offers a departure from the restaurant's previous green and turquoise identity; reflecting striking interior design features within the space and adding a pop of color amidst a mostly white space.